Our bespoke shirts combine natural elegance with perfect fit. All shirts are built to the highest standards of traditional shirtmaking craftsmanship and made by hand in our workshop in Berlin Mitte. 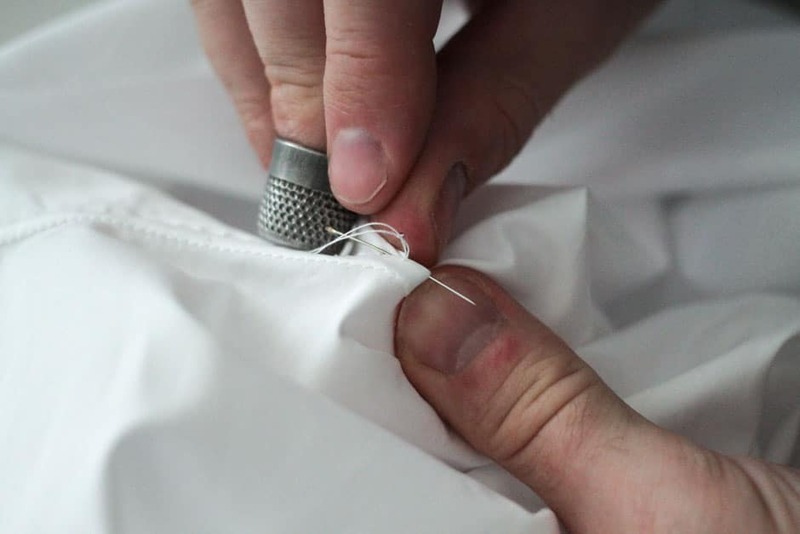 Every bespoke shirt we create is unique and made entirely from scratch based on our customer’s specifications. Every bespoke process starts off with an initial consultation where we will get to know you and discuss your needs and any other requirements you may have for your bespoke shirt. 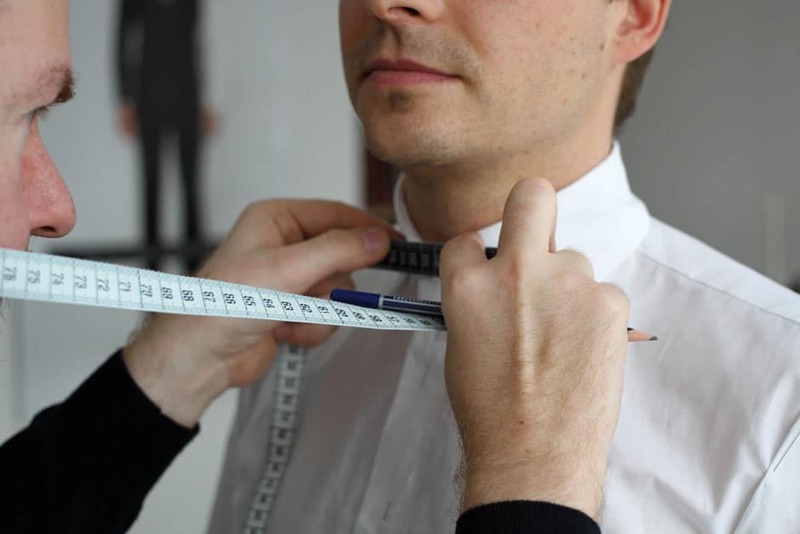 To construct your individual paper pattern we take into account 18 body measurements, your posture and your body’s characteristics as well as your movement habits, which will be noted during our first meeting. 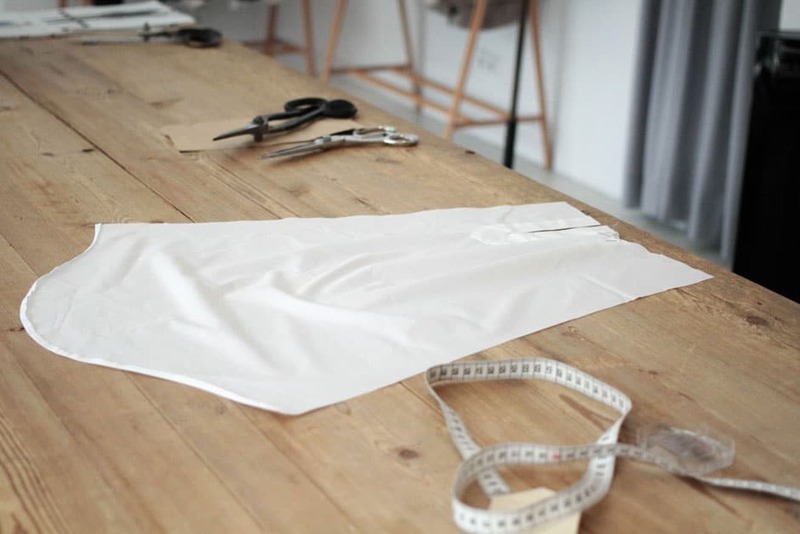 From the insights gained during our first meeting we will create your individual paper pattern and manufacture a trial shirt made from pure cotton. The trial shirt will help us fine-tune the fit and review any additional requirements or stylistic elements with you. After having considered possible adjustments your personal paper pattern is updated and archived for future orders in our workshop. 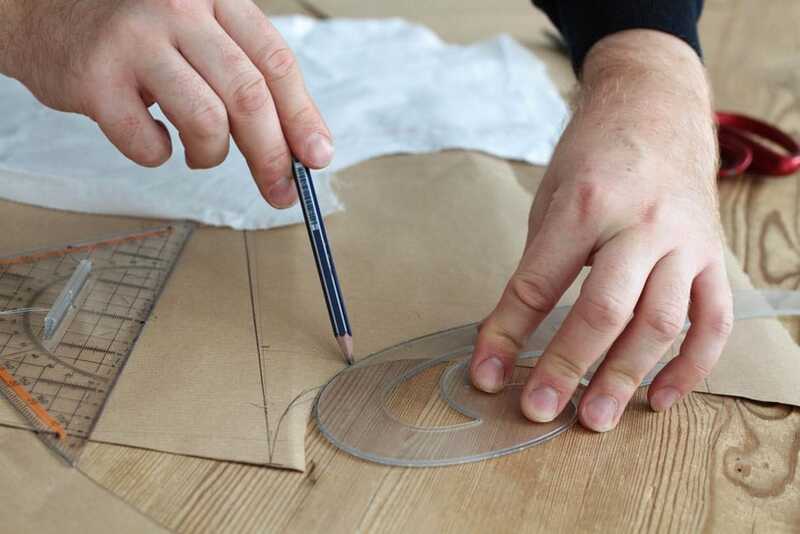 All of our bespoke shirts are hand cut and handcrafted at our workshop in Berlin Mitte. 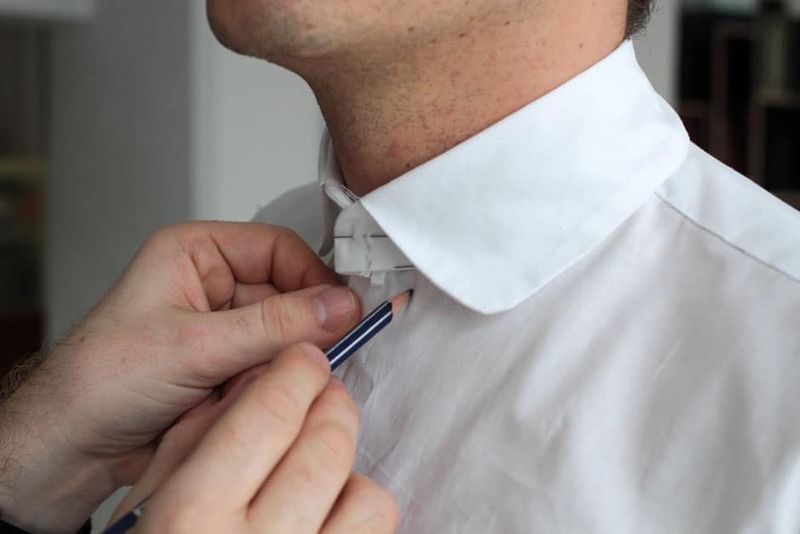 Fine workmanship such as attaching the sleeves by hand, hand-sewn stitches on the shirt’s collar, cuffs, and placket or floating collars and cuffs give our bespoke shirts a softer and more flexible feel making them both flattering and comfortable to wear. 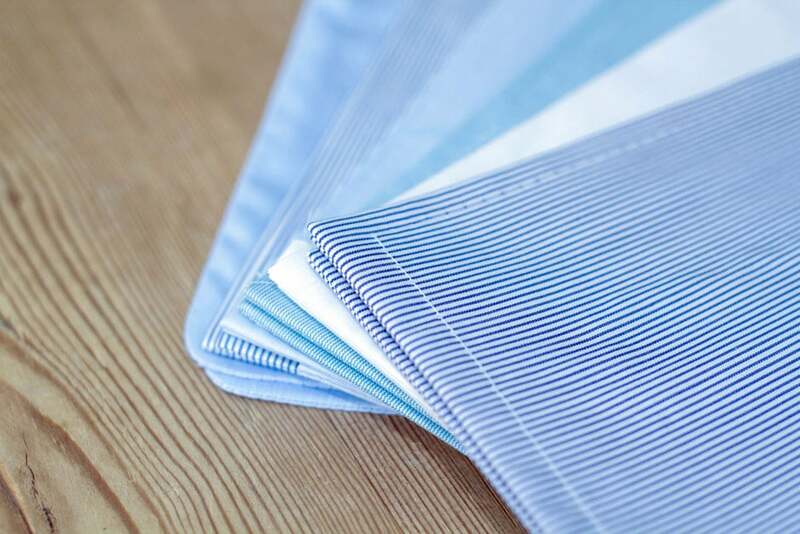 We carry over 800 different cloth samples from the finest European shirting mills. You can choose from a vast variety of shirting fabrics in different colours, weaves and designs – whether finest Sea Island or Egyptian GIZA 45 cotton, Italian linen or exclusive shirting fabrics of silk, wool or cashmere. Whichever time of the year or whatever the occasion, we are sure to find the right cloth to meet your needs and preferences. From the choice of cloth, to the selection of the shape, height and width of the collar, to the style of cuffs, placket or mother of pearl buttons you can decide on every aspect of your bespoke shirt. Adapting the size of the cuff to the size of your watch is just a matter of course. 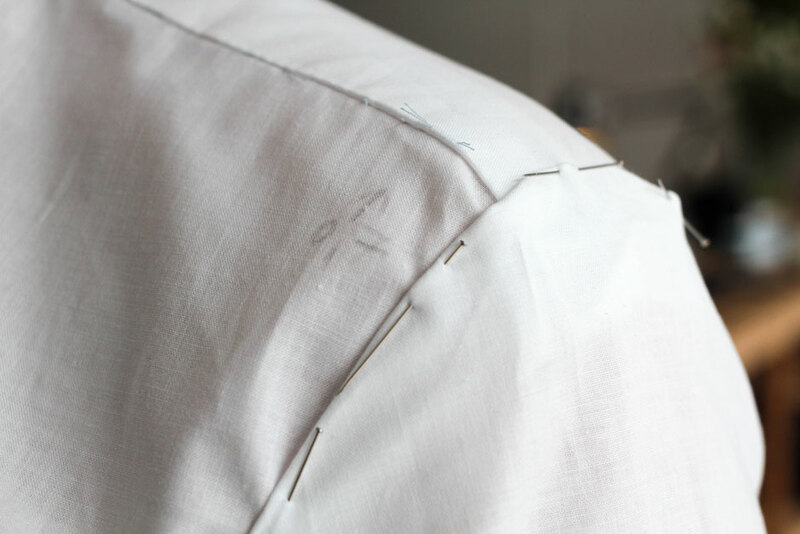 If you wish to refine your bespoke shirt with hand-sewn buttonholes or embroidered monograms, a premium will be applied. Finally, we will proceed with the creation of your bespoke shirt and deliver it at the appointed time. 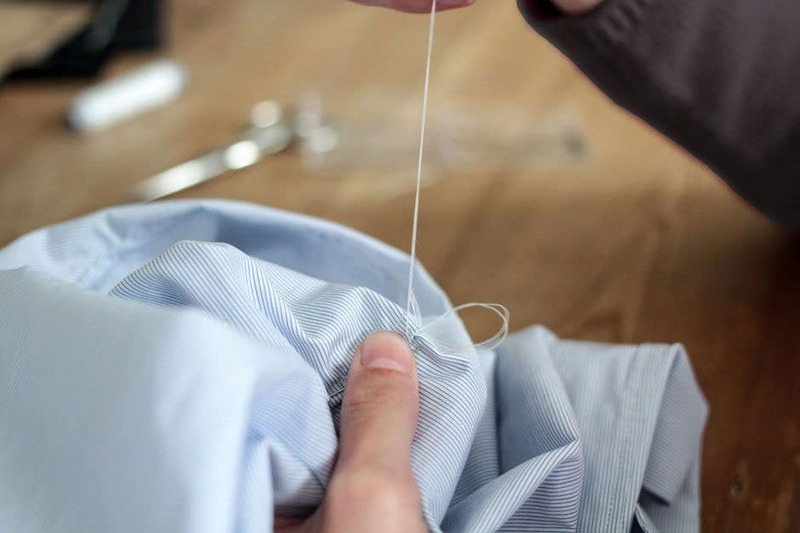 Because every shirt is handmade for you in our Berlin based workshop, we can meet any special requirements you may have. Whether you are looking for a casual shirt, a business shirt or an evening dress shirt for semi-formal or formal attire such as black or white tie – together we will create the right shirt for you. Shirt orders usually require a turnaround time of 2-3 weeks from time of order to delivery. 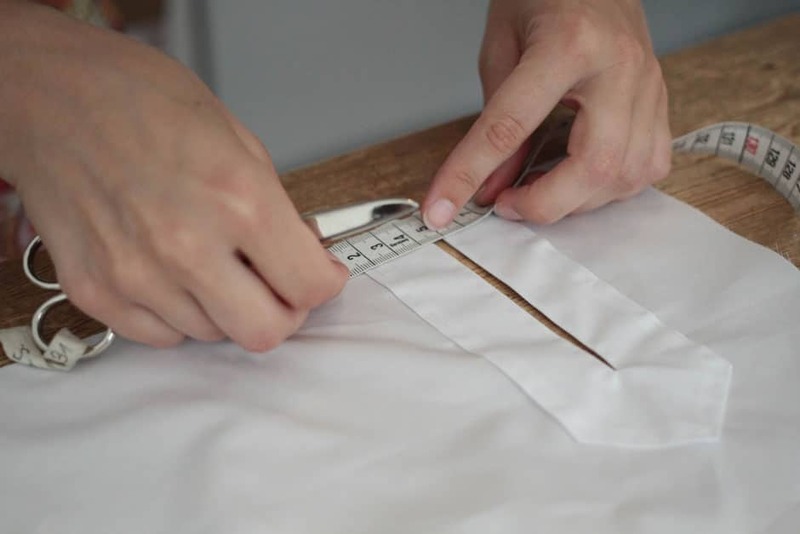 Attaching the sleeves and cuffs by hand as well as floating collars and cuffs give a natural roundness and softness to our bespoke shirts making them a pleasure to wear.